This book is the worst. If you've never read anything ever about the WM3, this book has a lot of useful information. If you've read even one other book about the case, you'll find at least 60% of this book to be a complete rehash of everything out there. I specifically wanted to read about _Jason_, about who he is and how he handled his time there. About halfway through the book it becomes apparent that Leveritt cannot write a book without writing about Damien. I just got done reading _Devil's Knot_ (which she name-checks at least a dozen times) and after awhile I began to feel like I was rereading _DK_. Instead of reading about Jason's life, I got to read yet another recap of the dry legal wranglings, mixed in with some babble about how great the internet is. Then she'd have one of her weird turns where she'd go into how sad it was that Jason couldn't have Internet access. I swear to you this right here is like a third of the book: 1. Long, detailed rambling about some website run by "ordinary people" to bring attention to the WM3. 2. Quotes pulled from website forum or chat room. 3. Anecdote about some awareness stunt pulled by the Ordinary Website People Who Make A Difference™. 4. A paragraph about how sad it is that Jason had no idea about any of this because he couldn't have access to the Internet in prison. She spends more book time bemoaning Jason's lack of web experience than she does bemoaning the severe beatings he received. It was just WEIRD. I've been a WM3 supporter since the first film aired on hbo. Unlike Jason I was on the Internet from about 1988, so I was one of the first visitors to the wm3 site. I have to say I find it a bit grating at this point to see Leveritt using the case as some sort of piggy bank. There was no reason for this book--ostensibly a biography of Jason's time in the Arkansas corrections system--to turn into another blow-by-blow account of Damien's Rule 37 hearing. Yes, I know Leveritt counts herself a personal friend of Echols and Davis, and she probably feels left behind as they published their own memoirs without her assistance. But this book really feels like she is yet another person lining up to exploit Jason, as she uses this book to communicate just how important she and other volunteers were in getting the three men released. It seems like the subtext--sure you may be buddies with Peter Jackson now, but don't forget those who helped you FIRST--becomes text. This ceases to be Jason's story and instead becomes Leveritt's not-so-subtle- guilt-trip to Echols and Davis. I'm not a huge fan of her writing style, but the content of the book makes it worth the read. Amazing book. Jason Baldwin has survived many storms in his life, and emerged a strong, compassionate person. Poorly edited, some factual errors, and somewhat haphazard in what is covered. Leveritt's prose is certainly nothing to write home about. Still very interesting. This is a follow-up to Devil’s Knot, following the West Memphis Three (but mostly Jason) after they are convicted and in jail. 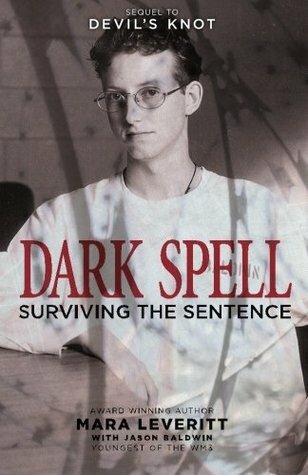 The book was really compelling because most of the West Memphis Three story is focused on the trials and the unique circumstances surrounding their release. There were a lot of typos in the book, which is a major pet peeve of mine. In this case, it pulled me away from the facts and made the book seem less professional, so I hope it’s something that can be fixed in later copies. I’d even be willing to copy edit it myself, for the cause, because I think the errors, as minor as they may be, really diminish the credibility of the book and make it seem hastily thrown together. After reading The Devil's Knot, I needed to know more. How could such an injustice occur in a society where justice is to prevail? This book focuses the youngest of the Memphis Three, Jason. Entering the prison system in disbelief, Jason struggled to find his place in this unpredictable world. His courage in handling the fights, challenges, and loneliness of the prison system shine through in Leveritt's words. Despite all of Jason's struggles, he maintained his faith in humanity and developed a sense of self both of which helped him survive his 18 year ordeal. His hardships and frustrations are shared open as well. As his story unfolds, one can't help but develop a sense of admiration for his perseverance and a connection to his genuineness. While the situation is one that makes you question the essence of our justice system, Jason exemplifies the power of the human spirit to overcome. The story of the West Memphis 3 is gripping. I've seen all the documentaries, poured through the case files, and read other books on the case, including Damien Echols' memoir. I was hoping to get a clearer picture of what Jason went through, but the book kind of falls flat to me. Along with a number of grammatical errors, the author doesn't even come close to delving into Baldwin's experience and background when compared to what Echols gave us with his book, Life After Death. I'd love to see Baldwin actually write his memoir as promised through his KickStarter campaign. It's been over a year since he reached his campaign goal, but I'm waiting over here waiting patiently to hear some news about when it will actually be released. I'm hoping he can deliver more effectively when writing his story himself instead of relying on a third party. Great count from the perspective of one of the West Memphis three and how this legal miscarriage as some call it was done by the authorities. What you read in this book plus what you see on the videos correlates very well and Jason proves to be very eloquent and well spoken.If this is your first approach to the case I suggest you at least watch the HBO documentaries to get a perspective since the book does not contain the final outcome of it, but the count of how Jason was living behind bars, his struggles and wins.Very good book. Mara Leveritt Jason Baldwin - Mara Leveritt is an Arkansas reporter best known as the author of Devil’s Knot (Atria 2002) and Dark Spell, (Bird Call Press 2013), the first books of her intended Justice Knot Trilogy about three Cub Scouts who were murdered in West Memphis, Arkansas and the case of the three teenagers who were convicted of the murders and then, 18 years later--and after pleading guilty--were abruptly set free. A 2013 feature film staring Colin Firth, Reese Witherspoon and Stephen Moyer is based on Devil's Knot. Leveritt’s earlier book, The Boys on the Tracks, (St. Martin’s Press 1998, republished by Bird Call Press, 2011) focused on the political intrigue surrounding the still-unsolved murders of two Arkansas teenagers. Leveritt is a contributing editor at Arkansas Times, where she has written extensively about the prosecution of Tim Howard, an African-American man, for the murder of his best friends, who were white. After Howard spent almost 15 years on death row, a court found that state officials had not released potentially exculpatory evidence to his defense lawyers at trial--a violation of law. A new trial has been scheduled for September 2014.Leveritt also blogs on her website about law, police, courts, and prisons. She has won several awards for her writing and posts the photo here of herself in cap and gown because she is so unabashedly proud of her honorary doctorate of humane letters from the University of Arkansas at Little Rock. As Leveritt is new to Goodreads, she has started by adding books that influenced her to her bones.